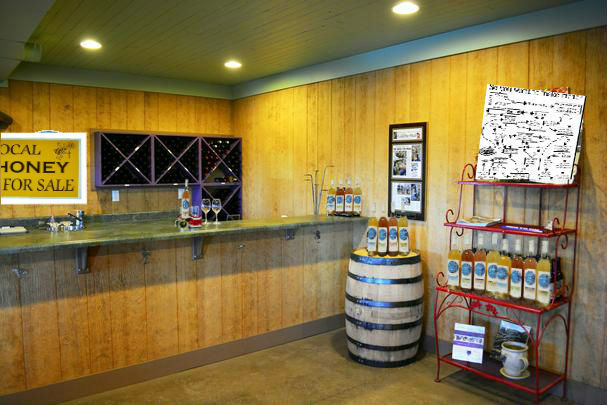 Planning a tasting room at your meadery. Maybe having a mead home brew tasting with friends. 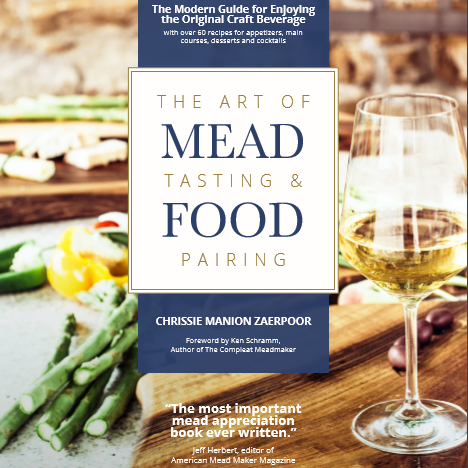 Chrissie Manion Zaerpoor provided an excellent guide to of 50 flavor pairings for traditional mead. In meadery tasting rooms all over the country, one of the most frequently-asked questions is, “what can I serve this with?” Here the author of “The Art of Mead Tasting and Food Pairing” provides a quick-start list of fifty great flavors combinations to pair with traditional meads (i.e., meads made only from honey). Many of these flavor combinations work well with braggots and melomels too, but are especially good with the honey flavors and aromas of traditional meads, including traditional session meads and traditional sparkling meads. Think of this not so much as a prescriptive list as more of an inspiration to help you select food recipes likely to pair well with the traditional mead you have on hand. Chrissie always recommends buying two or three bottles of a mead you like, not just one. That way you can experiment on your own with pairings for the first bottle, and then dazzle your guests with a proven successful match when you open the second and third bottles of the same mead. This list is an excerpt from Chapter 3 of her book. 1. Almonds: almonds and honey are a classic pairing; most food recipes with almonds as a key ingredient will pair well with most meads. 2. Apricots: apricot and almond ravioli. Fig-and-feta-stuffed apricots. 4. Carrots: with honey, almonds, bacon, cinnamon, ginger, pine nuts, tarragon. Try curried carrots, or the recipe for long-simmered carrots in broth, tarragon, and black pepper from Claire Joyes’ excellent cookbook, “Monet’s Table: The Cooking Journals of Claude Monet“. 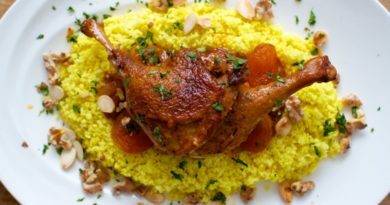 Try the many variations of Moroccan carrots spiced with cinnamon, cumin, and/or raisins – this can be served as a hot dish or as a cold salad; all the variations pair well with meads. 5. Cauliflower: Roasted or otherwise-caramelized. 6. Chicken, especially when prepared with almost any combination of almonds, asparagus, bacon, Swiss cheese, cherries, chestnuts, coconut, corn, curry, garlic, ginger, mangoes, mustard, plums, star anise, sweet potatoes, teriyaki sauce, walnuts. 7. Chocolate, not just desserts but also savory dishes such as chicken or turkey molé. 8. Corn generally. Think for a moment how perfect a drizzle of honey is on cornbread and you get an inkling of this ingredient’s potential for mead pairings. Corn on the cob, baked as cornbread, hominy grits, creamy polenta, or grilled polenta cakes―all are terrific. Look for recipes that combine corn with bacon, butter, chanterelles, feta or parmesan cheese, marjoram, black pepper or bell peppers, as especially good for pairing with mead. And of course, corn is a great starch to serve because it takes care of your gluten-free friends while also pairing beautifully with mead. 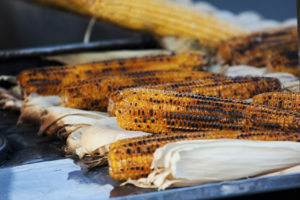 Corn and mead are natural partners; try pairing grilled corn with a barrel-aged mead. 9. Curries; generally mild curries pair best with dry to semisweet meads. For bolder curries choose stronger, sweeter, or fruitier meads (which we’ll get to in later chapters). 12. 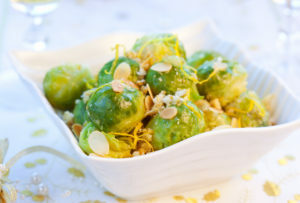 Grapefruit: combine with Brussels sprouts, or with fish or shellfish. Grapefruit for brunch is made extra-special by topping halved grapefruits with a little butter plus a sprinkling of mead, and then caramelizing the sugars under the broiler for just a few minutes before serving. Note that although citrus ingredients such as grapefruits can sometimes make grape wines taste funny, citrus ingredients generally pair very nicely with meads due to the absence of tannins. Avoid pairing citrus foods with oaked meads, however. 15. Lamb, all preparations. 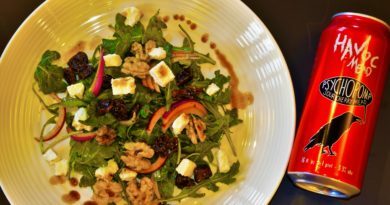 But especially with almonds, apples, bacon, figs, white beans, cardamom, feta or parmesan cheese, dried cherries, couscous, fennel, garlic, ginger, grapefruit, hazelnuts, juniper berries, mushrooms, mustard, olive oil, pine nuts, rosemary, sage. 16. Lemon plus fish or chicken, especially in recipes that also use almonds and cardamom. Citrus ingredients pair far better with meads than they do with grape wines. 18. Salads, especially with honey-mustard dressing, avocados, peaches, pears, and cheese. Or with apples in a Waldorf salad. Or with Feta and apricots in a Middle Eastern inspired salad. 20. Mushroom, all ways, especially with cream, shallots, and thyme. Chanterelle mushrooms, and other wild mushrooms, especially morels, chicken-of-the-woods, and lobster mushrooms. They pair especially well with chicken, game birds, rabbit, shellfish, and omelets. 21. Mustard: any honey-mustard anything works well with mead. Try it as a salad dressing or as a marinade. Or mix 3 parts melted butter, 1 part Dijon mustard, plus coriander seeds, salt and pepper, shake in a bag with prepped carrots, beets, and fennel bulbs, and then roast the veggies at 425 °F for 40 minutes until tender and caramelized. 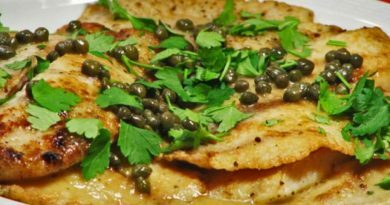 Dress again with the mustard-butter sauce. Pair with any traditional mead. 24. Persimmons and pork have an earthy umami combination that is just stellar with mead, especially a mead that has earthy flavors, such as a mead from carrot blossom or avocado honeys. 27. Polenta or corn bread: again, corn is an ingredient that works well with mead pretty much any way you can think to use it. Polenta can be served fresh and creamy, or leftover polenta can be spread on a cookie sheet, chilled overnight and then cut into squares and fried or grilled as polenta cakes. 28. Pork any way you can contrive it, especially with hoisin sauce, tarragon, mustard, plum sauce, sage, star anise, apples, fennel, juniper berries. For an over-the-top ambitious party, try roasting or pit-cooking a whole suckling pig and serving it with several meads. Pork belly: no way to go wrong! 29. Potatoes: Richer preparations, such as with mushrooms, fennel, bacon, parsley, parsnip, butter, and cream. 30. Pumpkin, sweet potatoes, acorn squash, and other winter squashes, sweet or savory, any way you can think of, especially with apples, bacon, coconut, ginger, carrots, Gruyère cheese, mace or nutmeg, mushrooms, pecans, thyme. Consider soups, raviolis, broiled/roasted vegetables, sweet and savory pies, custards, risottos, and more. Quail and mead. 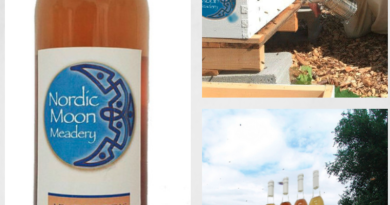 A semisweet mead will have the body to stand up to the richness of any game bird. Grilled red snapper with mead. Look for meads with light, tropical flavors, or session meads. When pairing anything off the grill, go for an oaked mead if possible. 35. Ricotta cheese; especially in white lasagnas, or with almonds in crepes. 36. Ribs, spare ribs, BBQ ribs. This is a sure thing every time, impossible to do wrong. For pairing with dry to semisweet traditional meads, stick to a milder BBQ sauce. For richer (i.e. 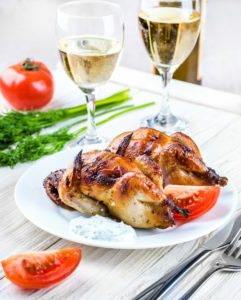 fattier) the BBQ sauce, consider a sparkling mead. For spicier or stronger-flavored BBQ sauces, try the bigger fruit meads or sweeter meads, especially Polish meads or peach melomels. We’ll get to these bigger flavors in later chapters. 37. Risotto: pumpkin, saffron, butternut squash, asparagus, tomato, pancetta, and mushroom are just a few of the possibilities. Vary the ingredients to pair with a specific mead, or serve as a side dish that’s compatible with just about any dry or semisweet mead. 39. Salmon, with bacon, avocados, chervil, citrus, corn, cream or crème fraîche, fennel, garlic, ginger, juniper berries, mushrooms especially morels and chanterelles, mustard, raisins, snow peas, spinach, tarragon, tomato cream sauces, walnuts, watercress. 41. Shanks and necks of veal or lamb; especially the classic Italian dish Osso Buco (which can be made using beef or veal or lamb) with its gremolata topping that is so worth the effort to make, and served with corn polenta. 43. Shrimp, especially in mild curries, or with scallions and tarragon, with oranges and peanuts, or try making shrimp scampi with mead instead of white wine! 46. Stuffing. On a weeknight, stuffing by itself or with leftovers or a side of sausage and braised greens is a meal on its own! When I make stuffing for poultry, I always double or triple the recipe and store the rest (before adding the broth) in an oven-ready casserole pan or ziplock freezer bag in my freezer. At about 4pm on a weeknight, I can pull it out of the freezer, pour some hot broth over it, and put it in the oven for an easy dinner. It takes less than 20 minutes to slice and caramelize onions, slice and add sausage, and slice and add kale; serve with stuffing as the side dish. Favorite all-time stuffing recipe: “Pheasant with Leek and Pecan Stuffing” from the original “Silver Palate Cookbook” by Julee Rosso and Sheila Lukins. 47. Trout, especially with almonds and lemon, with bacon, with white beans such as flageolets, brown butter, mushrooms, cream, garlic, pears, sorrel. 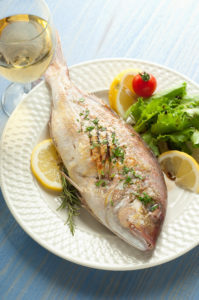 Grilled trout with almonds and lemon is divine paired with an oaked dry mead. 49. Wild rice with almonds, hazelnuts, or pine nuts and wild mushrooms, especially with game birds such as pheasant or quail, or seafood. 50. Yogurt with honey, mint, watercress, carrots, onions, nuts. ← Mead Trends upward for 2018 As Wedding alternatives to Champagne.